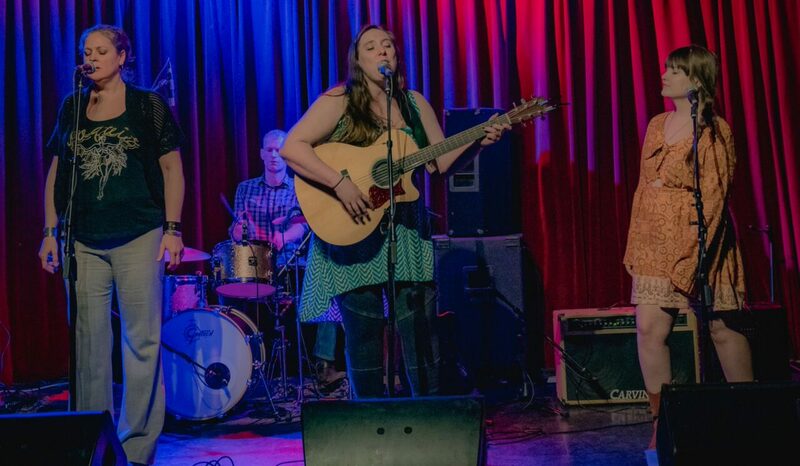 Devon Cahill (center, with braid) rounds out the bands vocals with her timeless, limitless voice. She also sometimes plays guitar, on the song where Langen really wants to dance! In addition to her vibrant solo career and her work with The Defeated County, Devon also performs with Traveling Sound Machine, and Prairie Rehab.